The trouble with the questions mentioned above are that there are many variables at play. Today we’ve teamed up with Profile Pensions to consider some of them. What Are Your Circumstances Now? Firstly, we all earn different amounts of money annually. This means that some people will have to save more than others in order to maintain their current lifestyle. Also, some people might have saved for a pension previously, while others may have no pension savings at all. Coming late to the game will obviously mean you will have to save more than someone who started when they were young. What Kind of Lifestyle Do You Want in the Future? Then we have the question of what kind of lifestyle you want to have in retirement. Do you want to have a modest lifestyle or a comfortable one? When we say ‘modest’ lifestyle, we are really talking about an adequate one. A lifestyle where you aren’t worried too much about buying food or other essentials, but where there might not be much extra money for treats. When we say ‘comfortable’, we’re not talking about a retirement where you can afford to jet off around the world all year either. Instead we mean a lifestyle that allows for the few extra treats that a ‘modest’ lifestyle might not. The reality for most people is that they will only be able to afford one of the two lifestyles mentioned above. So how much will you need for each of these options? 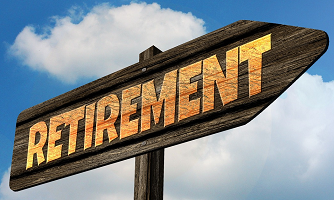 While it can be frustrating trying to work out how much you will need to save to enjoy either of the retirement lifestyle options mentioned previously, it isn’t impossible. Why not have a play around with the pension calculator from Profile Pensions, for example? Profile pensions are a pension tracking and consolidation company who offer impartial pension-related advice. Their pension calculator has been designed specifically to help you work out how much you will need to save in order to enjoy either a ‘modest’ or ‘comfortable’ lifestyle in retirement. You will need to answer a few simple questions and the calculator will then give you an overall figure as to how much you will need. You can even use a slider on the calculator to change the age that you wish to retire. This will then show you how much extra you will need in the pot to enjoy an early retirement. We can see that there are many factors to take account of when deciding how big a pension pot you will require. Using a pension calculator is a good first step to help you work out how much you might need, though. With investment comes risk and you may get back less than you invest. Should You be Forced to Save for Retirement?